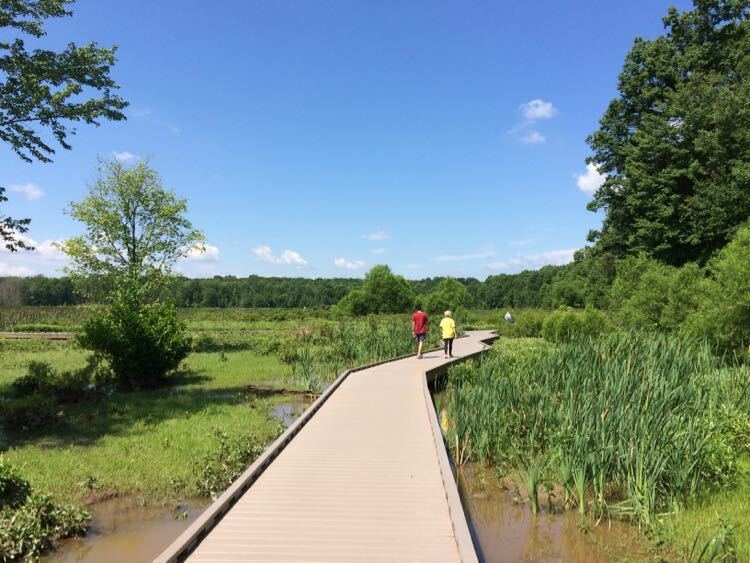 The Glade Stream Valley hike offers paved wooded paths along a restored section of stream with a stop at the lovely Walker Nature Center in Reston Virginia. 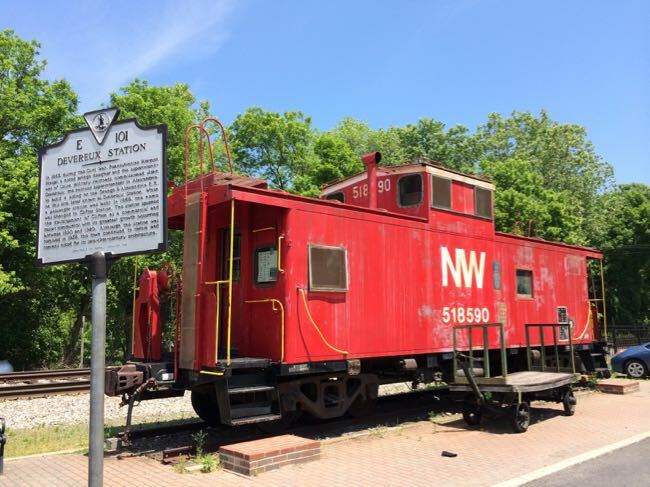 We describe a 3.75 mile easy loop along the stream and Glade Road, but we’ve also suggested ways to modify your route or add a stop for dining or drinks. 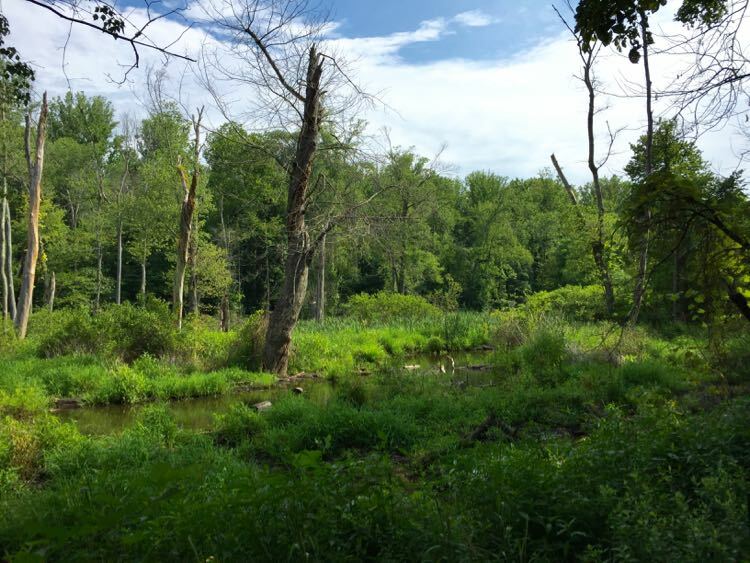 Fairfax County includes many Stream Valley Trails (SVTs), little ribbons of green cutting through suburban neighborhoods and offering protection for the waterways that feed the Chesapeake Bay. SVTs are a mix of dirt, stone-dust, and paved trails all providing an urban escape from the busy roads nearby. 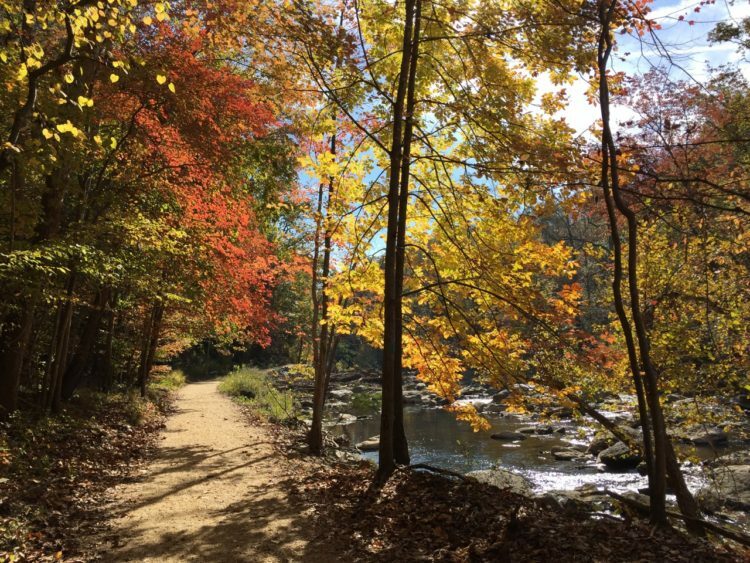 The Glade Stream Valley Trail in Reston is a paved path following a section of stream that underwent a restoration project in 2008. 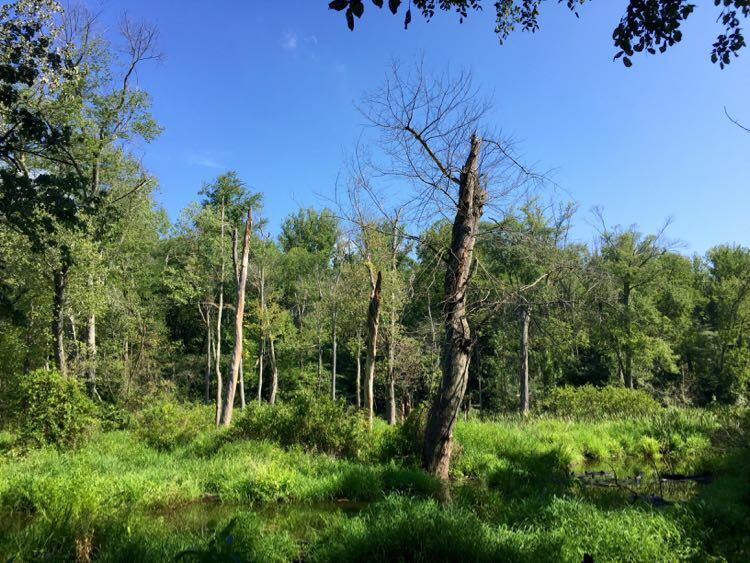 Our favorite route for the hike begins at Twin Branches Road, follows the trail to Soapstone Road, then returns along Glade Drive. 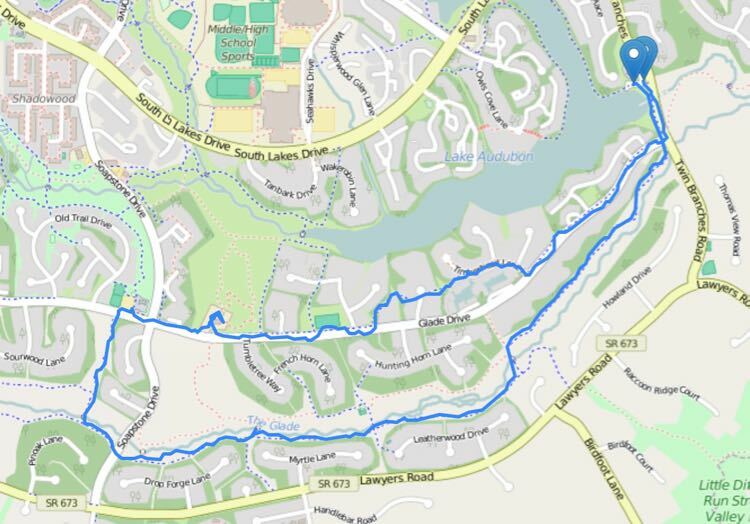 It’s an easy, well-shaded hike with a few shorts hills to add a little workout. 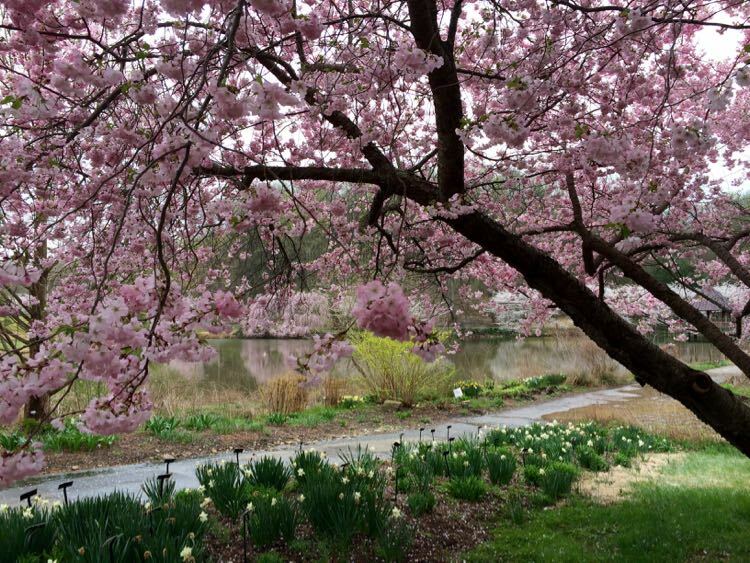 To follow our route, park near the Lake Audubon Pool and take the sidewalk along the lake. The trail heads downhill and right just after you cross Glade Drive. Once you’ve entered the woods, street noise dims and birds take over. 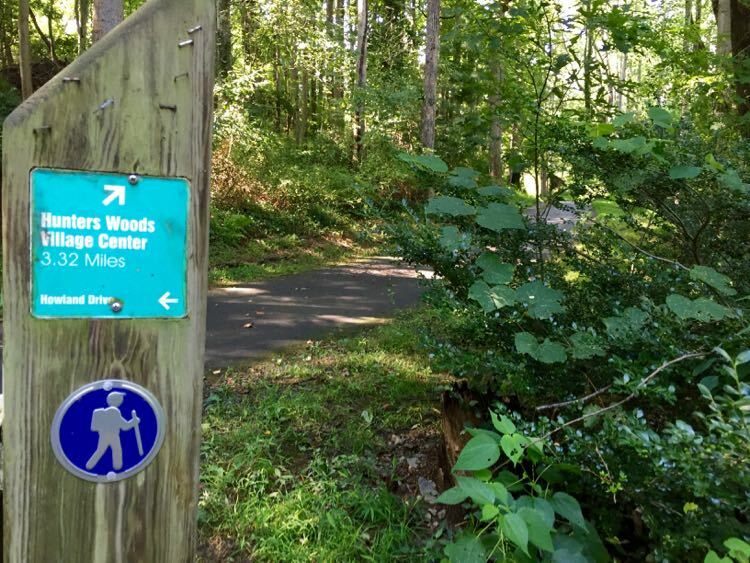 Here, you’re on a section of the Fairfax Cross County Trail, and you’ll see CCT mile markers along the way. Follow the paved trail over a few small hills then left over the stream. Shortly after the stream, turn right, following the Reston Association markers toward Hunter Woods. The path is more exposed to neighboring houses near the stream, but the trail remains peaceful with nice views of the wetlands on your right. You’ll pass additional bridge crossings to your right, one of which leads to a tot lot with playground equipment. This would make a nice stop if you have children in your group. The path is well maintained and level, popular for hiking, running, and biking. 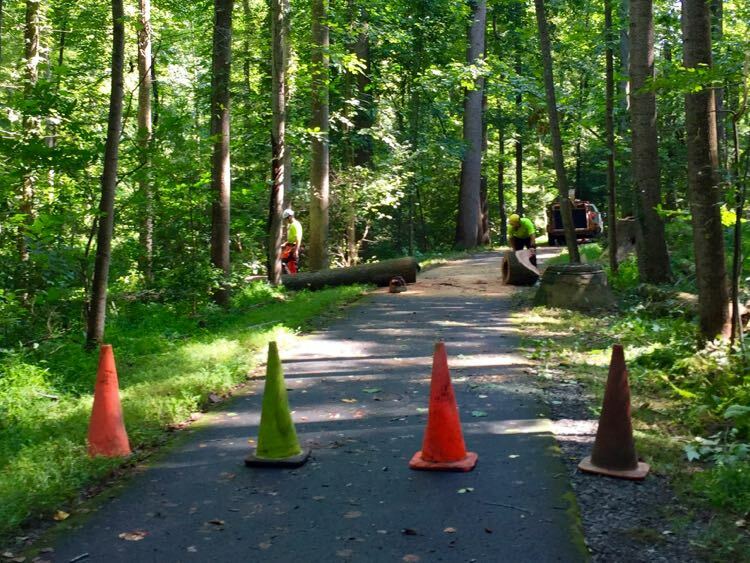 On our last outing, Reston Association workers were clearing a large tree that had fallen across the path, and we saw joggers, strollers, kids on bikes and scooters, and dog walkers out enjoying a break in the heat. 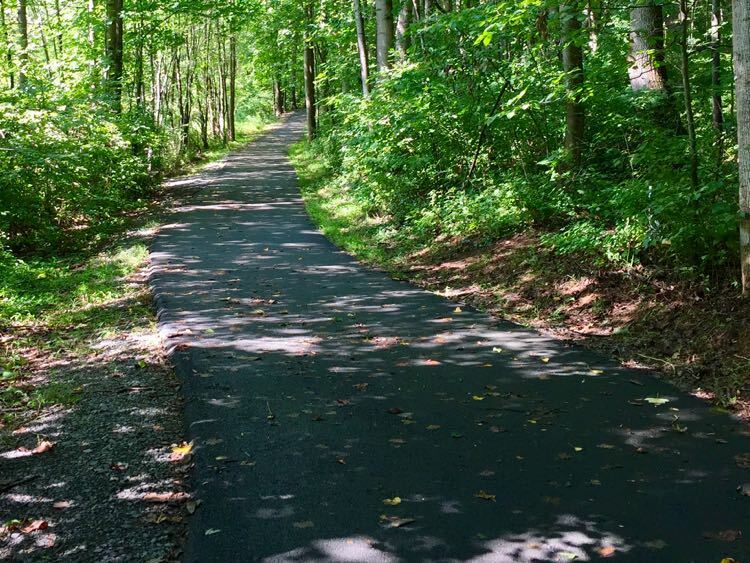 Fun fact: Reston Association owns and maintains the entire trail; no Fairfax County tax dollars or staff are used. 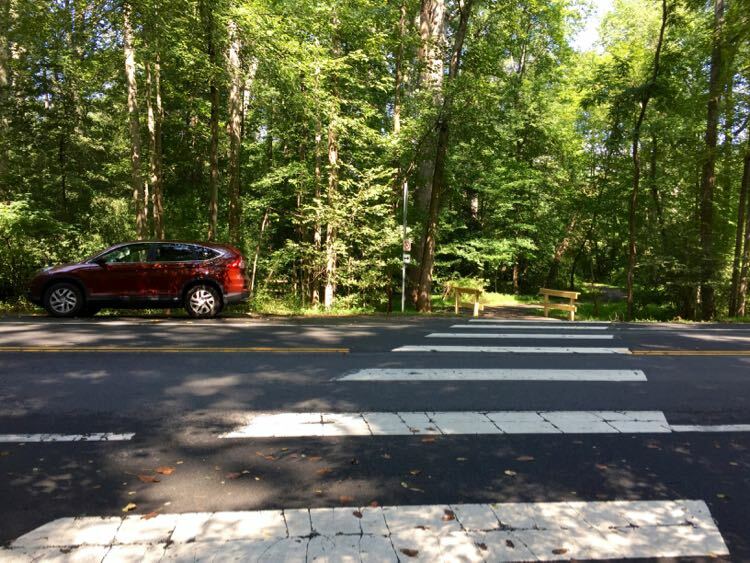 When you reach Soapstone Road, cross carefully and continue, or take a break at the picnic area next to Soapstone Drive. Turn right at the first paved trail, heading uphill to Glade Drive. At this point you can either return on the sidewalk path along Glade Drive to complete the loop, or return the way you came to avoid the road. 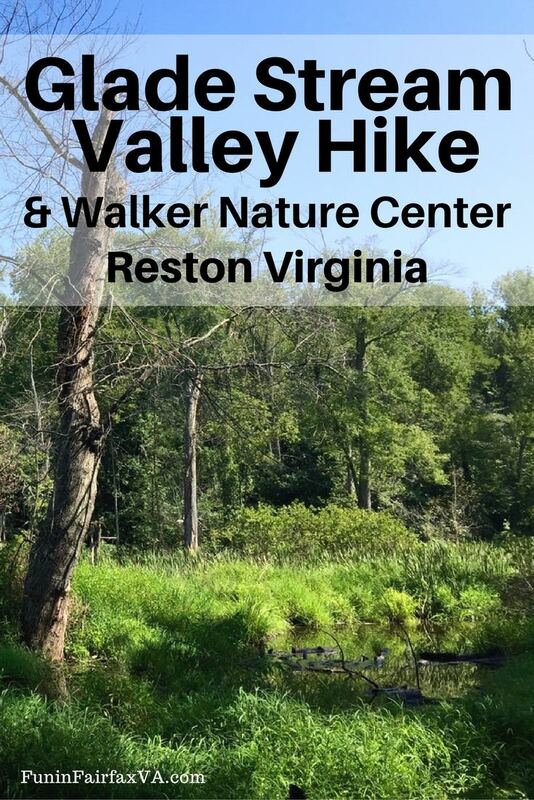 If you take the sidewalk route you can make a stop at the Walker Nature Center, Reston’s center for environmental education. The sidewalk dips into the woods a couple of times on the return, adding a little more hill work. When you reach Twin Branches Road again, turn left for the return to your car. 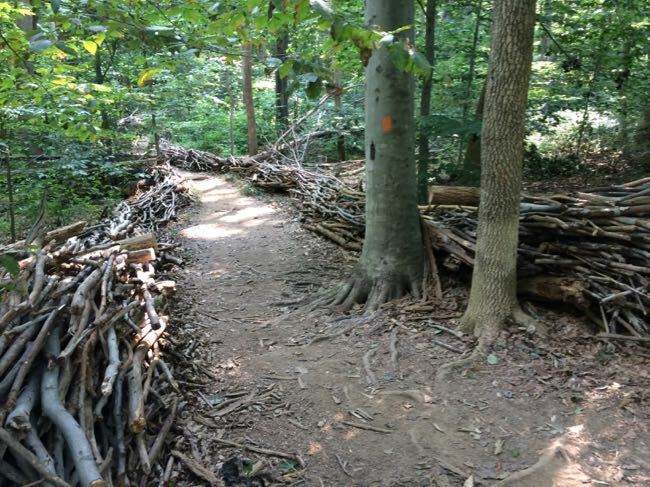 Reston’s Walker Nature Center offers s nice break spot for our loop hike. 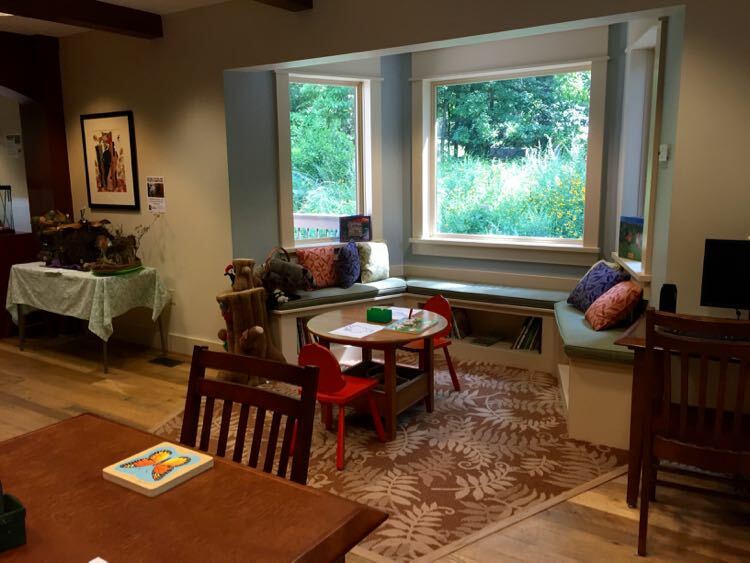 Inside you’ll find a library and reading area, a few natures displays, and cozy spots for watching birds. Around back are clean restrooms and water fountains, plus a picnic area. 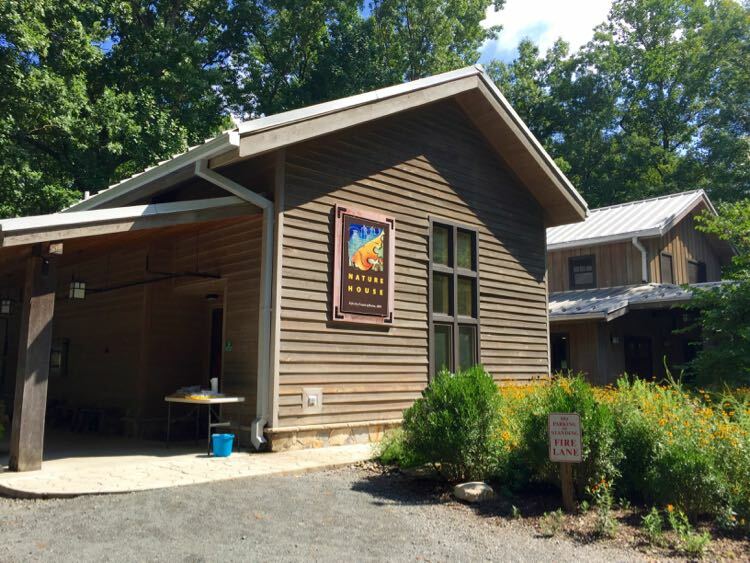 The Walker Nature Center occupies 1300 acres of open space, and is a center for classes, summer camps, and special events throughout the year. Ask for a trail map to explore the woodland trails around the center. 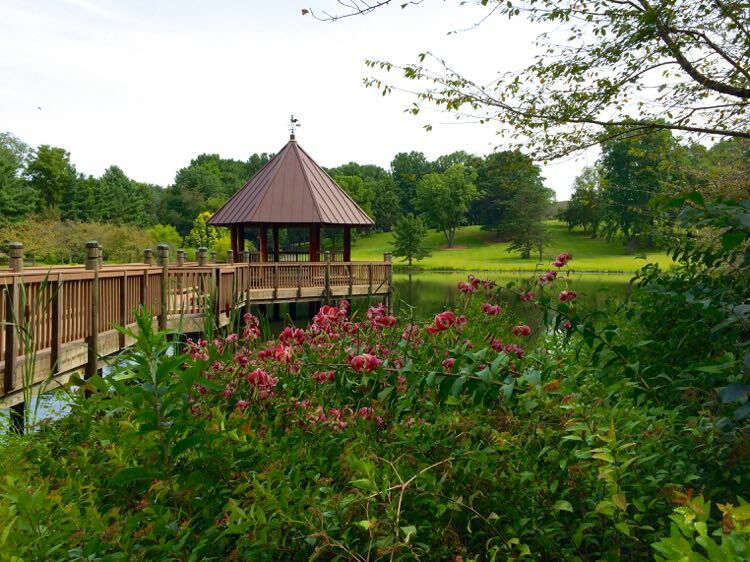 To skip the sidewalk section of our loop hike, park at Glade Pool and make it an an out-and-back hike. From the Glade Pool parking area, cross the street and head down the paved path, turning left when you reach the Glade Stream Valley Trail. Follow our route in reverse until you reach Twin Branches Road, or an earlier stopping point, then return the way you came. 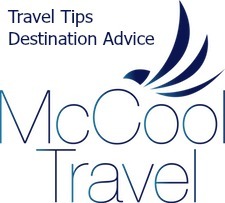 Skip the hills near the Twin Branches Road end by parking at Glade Pool and making your trip an out-and-back stroll. You’ll have one moderate hill from the parking lot down to the stream valley, but the trail is otherwise level. To skip the hills entirely, park along Soapstone Drive and enter the trail heading east. This is an ideal stretch for wheelchairs strollers, or little ones on bikes and scooters. Follow the trail until the hills begin or for as long as you like, then head back the way you came. 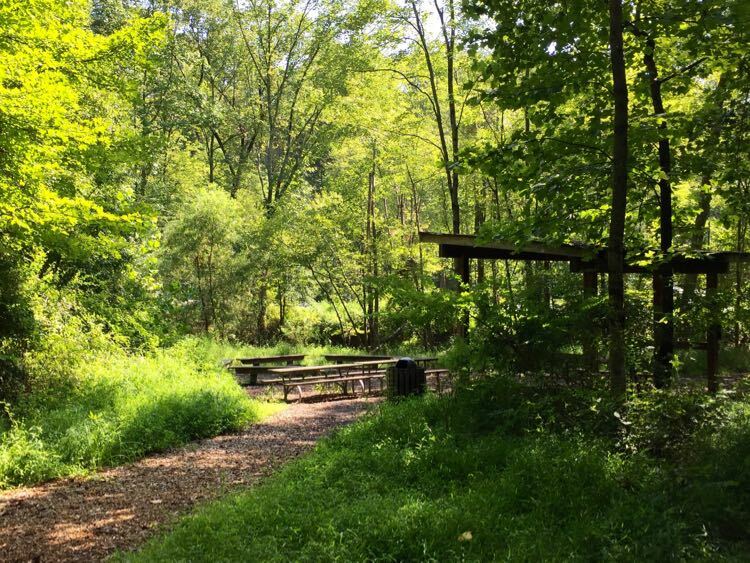 Walker Nature Center maintains a small but nice collection of dirt trails near the Glade Stream Valley and down to Lake Audubon on the other side of Glade Drive. Just before you reach Soapstone Drive, turn right and cross a bridge onto a dirt trail. 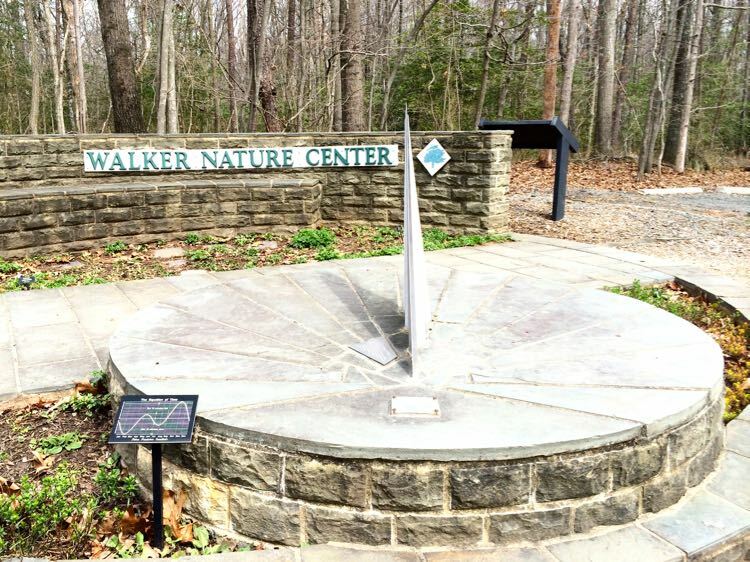 Follow the trails uphill and cross Glade to visit the Walker Nature Center, which offers information about local nature, along with bathrooms and a water fountain. Pick up a trail map and explore the trails down to Lake Audubon if time allows. 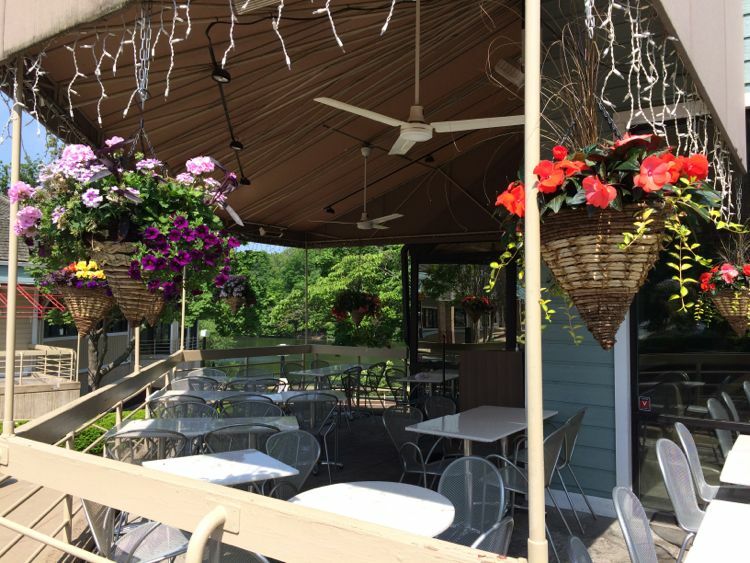 The South Lakes Village Center is close to the Audubon Pool parking and it offers several great places to stop for a meal or drink. We love Cafesano for fresh, delicious, and reasonably priced Mediterranean food. Favorites include the arugula pizza and chicken pesto panini, and they have a nice outside dining deck if the weather is good. 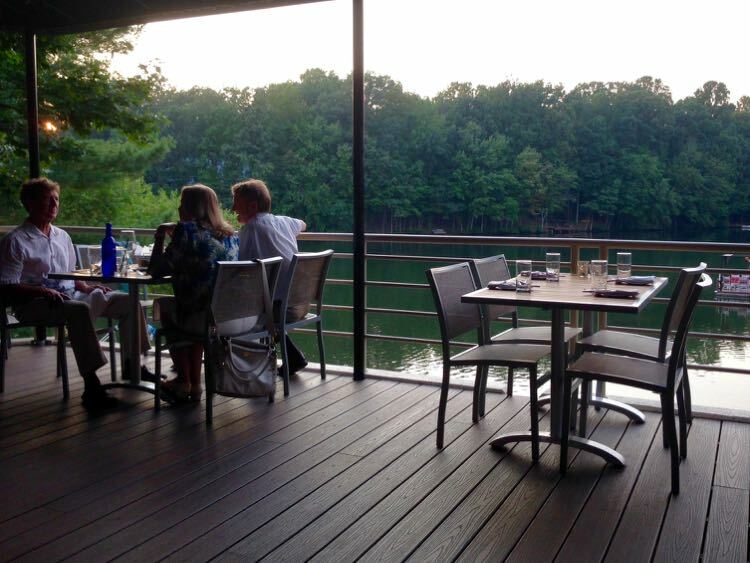 For a little more upscale and equally delicious meal or drink, you can’t beat the lakeside patio at Red’s Table. Red’s also offers a good selection of craft beer and cocktails, and their daily happy hour specials are usually a great deal. The giant, hand-tossed pies at Flippin Pizza are another good bet for a casual meal. 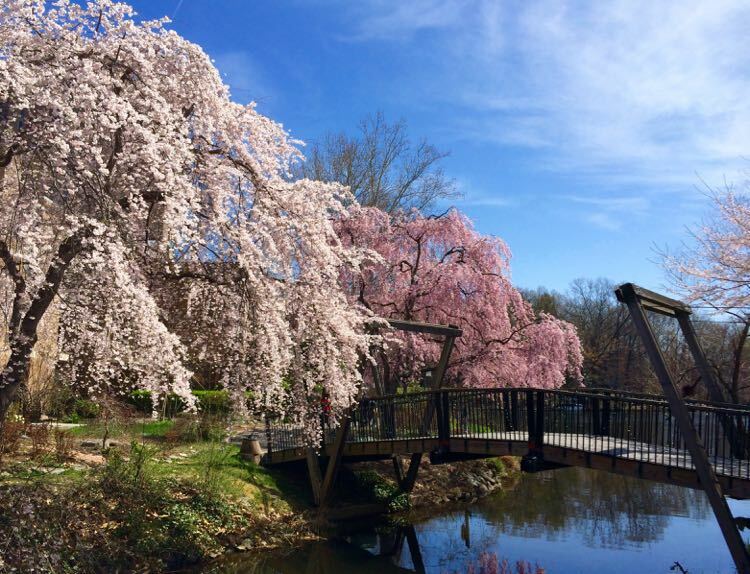 If you parked at Walker Nature Center or the Glade Pool, we recommend nearby Ariake for tasty sushi and bento box lunch specials that are a great deal. 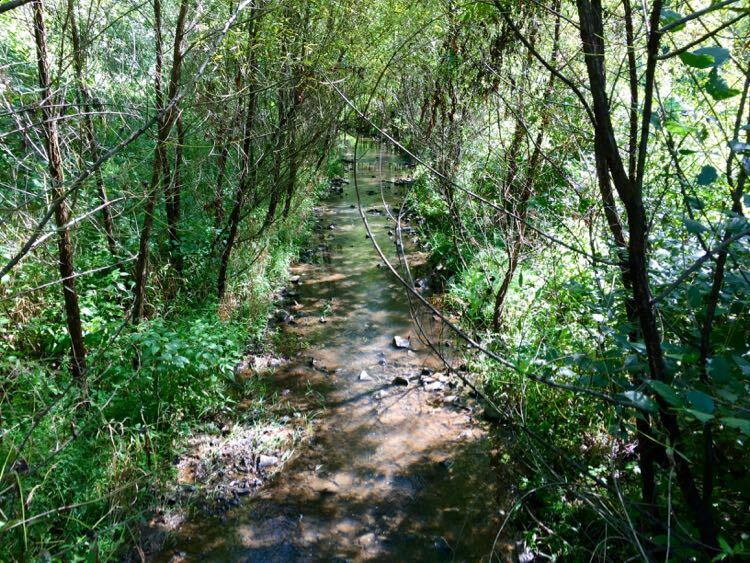 The Glade Stream Valley hike is accessible year-round—shady in the summer and usable when dirt trails are muddy from rain or snowmelt—and offers a nice suburban escape with tasty dining nearby. 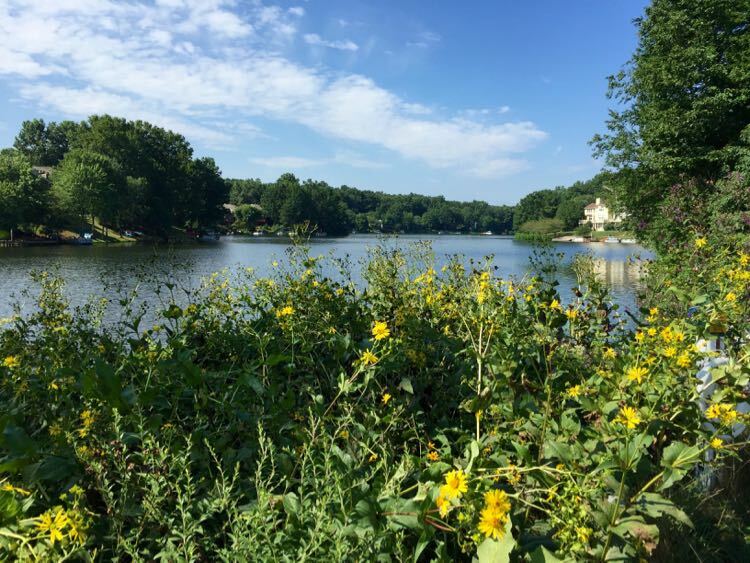 Do you have a favorite suburban hike? Please share your suggestions in the comments below. Thanks and happy hiking! 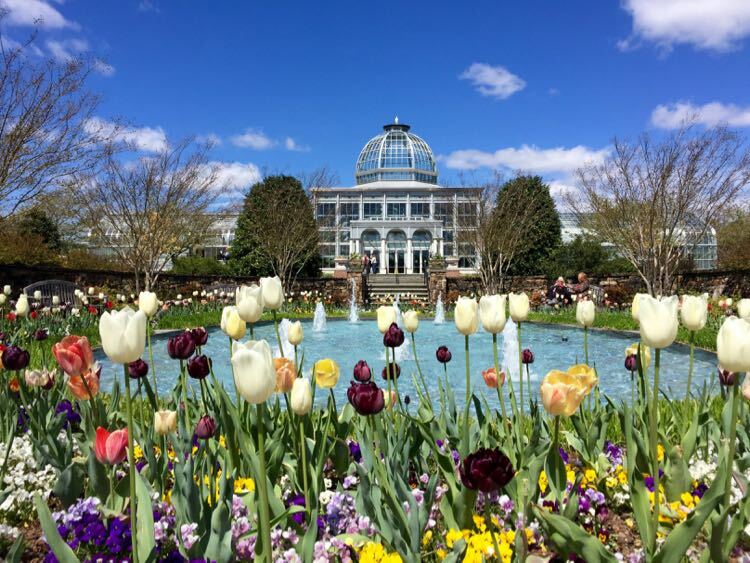 Follow us on Facebook, Twitter, Pinterest, and Instagram for things to do, places to explore, dine and drink discoveries, and year-round fun in Northern Virginia and beyond.